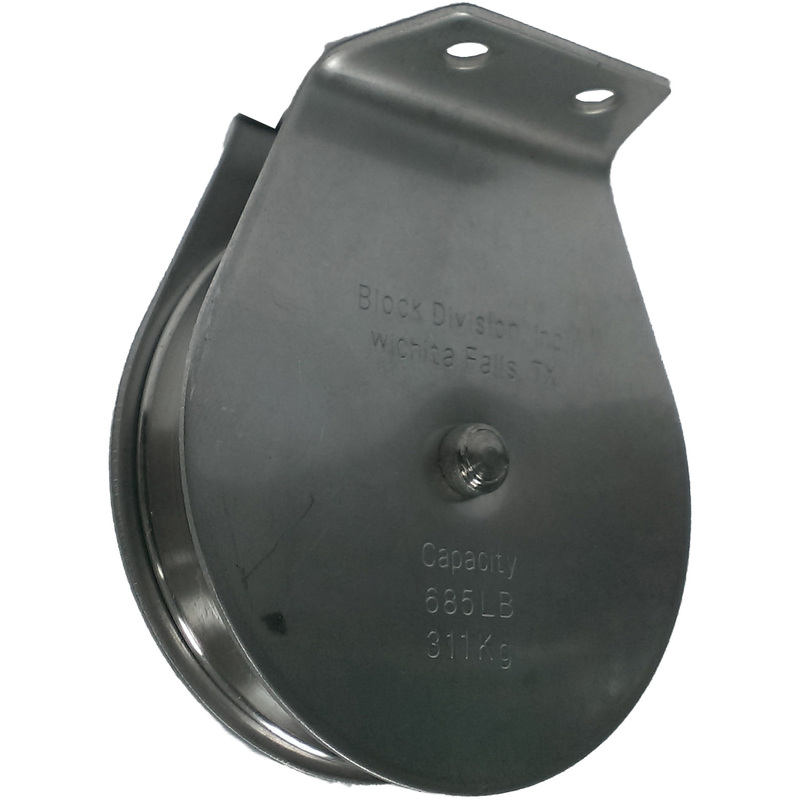 Type 304 stainless steel heavy duty flat mount block with 3 inch diameter single sheave grooved for 1/4 inch cable. Working Load Limit: 800 lbs. 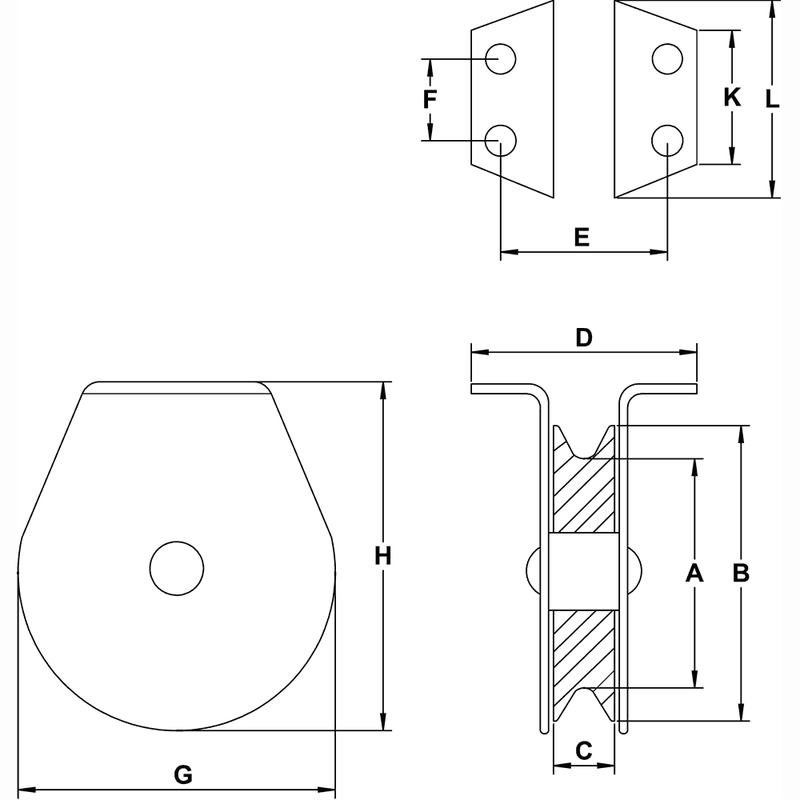 Type 304 stainless steel heavy duty flat mount block for use with 1/4" cable. 3" sheave diameter. 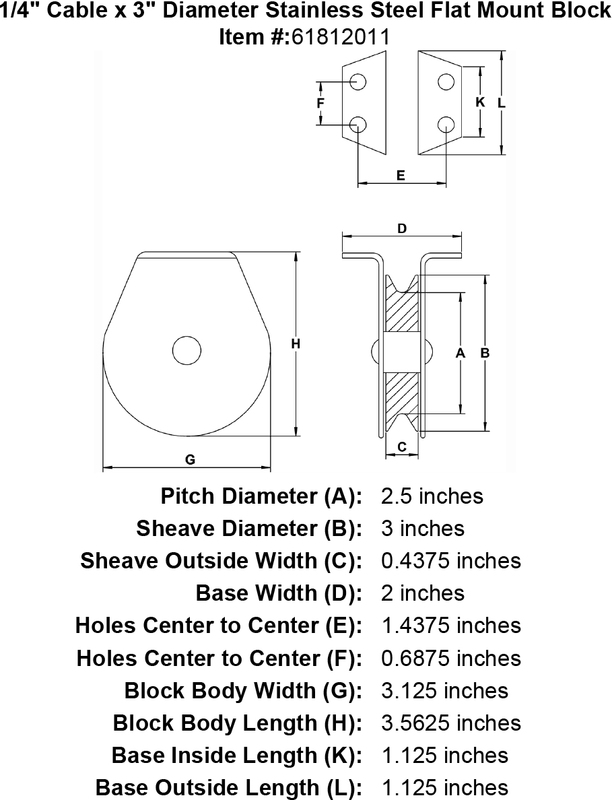 Sheaves are equipped with bronze bushings. We recommend oiling the bushings occasionally if subjected to heavy use. Working load limit: 800 lbs. Weight: 1 lb. 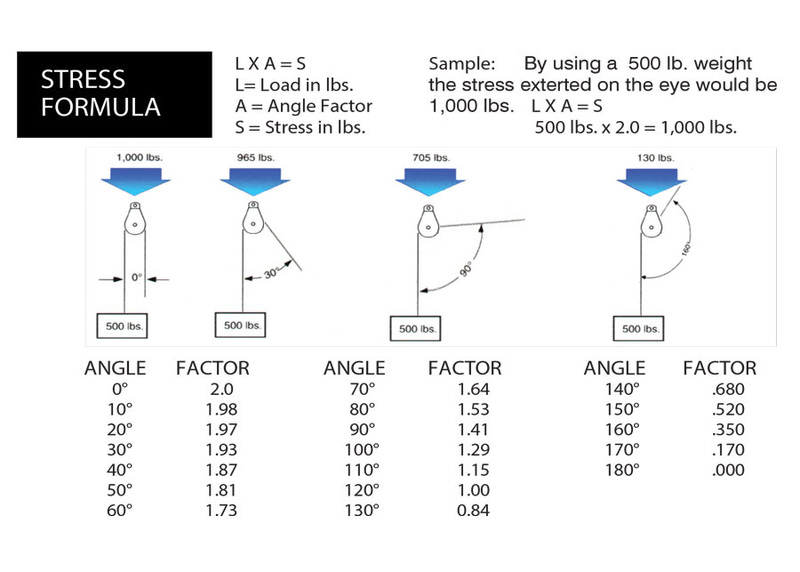 Ultimate block strength is 4 times the working load limit.